It’s the leading cause of death in the U.S. It’s important to learn about your heart to help prevent it. If you have it, you can live a healthier, more active life by learning about your disease and taking care of yourself. The heart is an amazing organ. It beats in a steady, even rhythm, about 60 to 100 times each minute. That's about 100,000 times each day. Sometimes, your heart gets out of rhythm. An irregular or abnormal heartbeat is called an arrhythmia. An arrhythmia (also called a dysrhythmia) can produce an uneven heartbeat, or a very slow or very fast beat. You may hear this called CAD. It’s hardening of the arteries that give the heart vital oxygen and nutrients. That hardening can also be referred to as atherosclerosis. The term can be frightening. It doesn’t mean the heart has "failed," or stopped working. It means the heart doesn’t pump as well as it should. This will cause you to retain salt and water, which will give you swelling and shortness of breath. Heart failure is a major health problem in the U.S., affecting more than 6.5 million Americans. It is the leading cause of hospitalization in people older than age 65. The number of people diagnosed with heart failure is projected to rise by 46 percent by 2030, according to the American Heart Association. 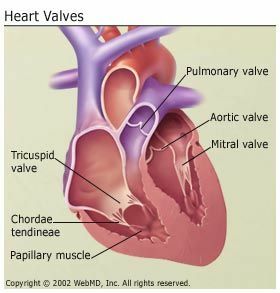 Your valves sit at the exit of each of your four heart chambers. They maintain one-way blood flow through your heart. Mitral valve prolapse: The valve between your left upper and left lower chambers doesn’t close right. Aortic stenosis: Your aortic valve narrows. It affects blood flow from your heart to the rest of your body. Mitral valve insufficiency: Your mitral valve doesn’t close tightly enough. This causes blood to leak backwards, leading to fluid backup in the lungs. This is a defect in one or more structures of the heart or blood vessels. It happens before birth. About eight out of every 1,000 children get it. They may have symptoms at birth, during childhood, and sometimes not until adulthood. In most cases, scientists don't know why it happens. Heredity may play a role. Exposure of the fetus during pregnancy to viral infections, alcohol, or drugs may, as well. This covers diseases of the heart muscle. People with these -- sometimes called an enlarged heart -- have hearts that are abnormally big, thickened, or stiffened. As a result, the heart can’t pump blood as well. Without treatment, these get worse over time. Often, they lead to heart failure and abnormal heart rhythms. 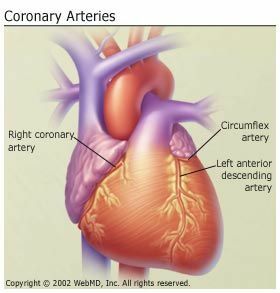 Cardiomyopathy may be genetic, or is caused by high blood pressure, diabetes, obesity, metabolic diseases, or infections. A rare condition where the lining surrounding your heart gets inflamed. An infection often causes this. People with aorta disease should be treated by an experienced team of cardiovascular specialists and surgeons. Your circulatory system is made up of the vessels that carry blood to every part of your body. Vascular disease includes any condition that affects your circulatory system. These include diseases of the arteries and blood flow to the brain.